Epsilon Sunset is a non-traditional landscape that features an organically-shaped terrain and algorithmically abstract setting sun. 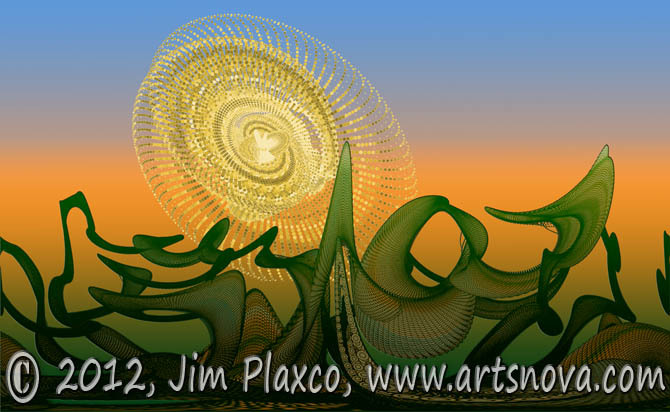 Epsilon Sunset is one in a series of digital paintings whose style I have termed liquid landscapes. These landscapes were created using an algorithmic painting program that I wrote. 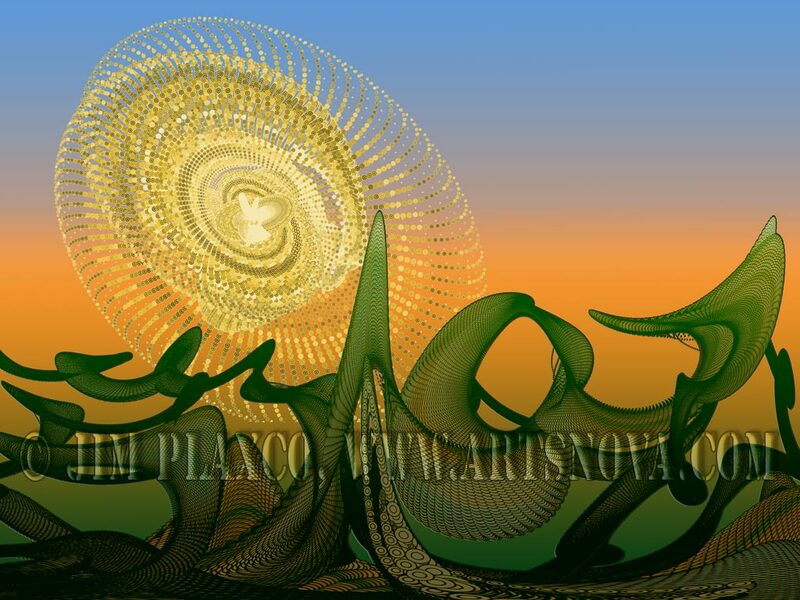 A cropped, watermarked wallpaper of the painting can be seen in the Epsilon Sunset wallpaper.